Today's card is just in time for Easter. The image is from All Dressed Up. I used Spectrum Noir markers to color and Stickles Diamonds for the pink bow. 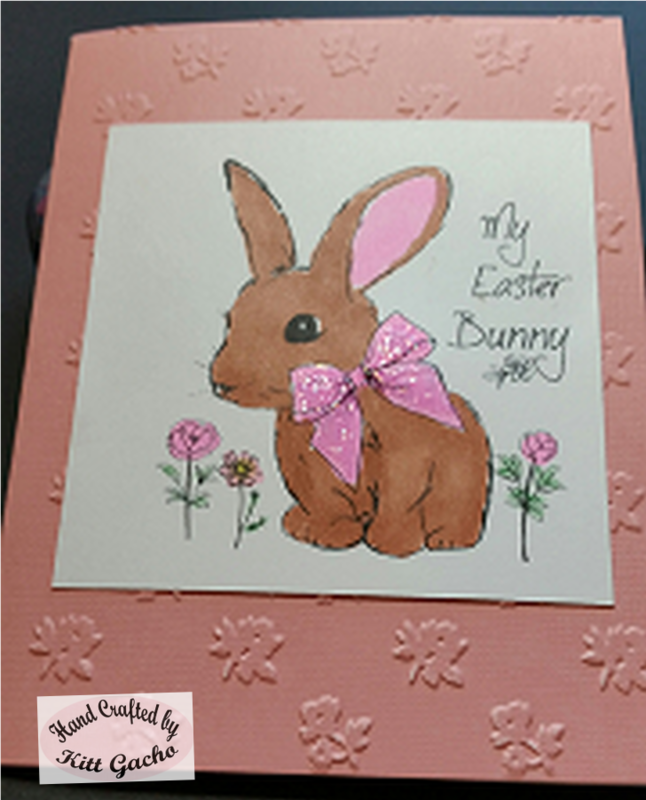 I also used We R Memories flower embossing folder on the base of the card. 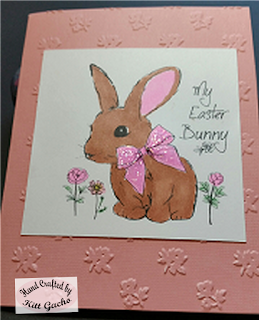 Be sure to stop by and see what the talented Cookie DT has for your last minute Bunny inspiration. Thanks for stopping by and leaving your comments. I love hearing from you. Have a happy crafty day.